Earth has been invaded. An alien species has taken 99.99% of the population. But we have a secret weapon: Saltwater. Something in it destroys them. So, we flooded the planet. But they’re still out there, waiting for any chance to pick off the remnants of the human race. The Cobalt species are dwindling. A famine on their homeworld has left them almost extinct. Until they found a planet teeming with stupid, delicious animals. They thought their problems were gone until a toxic substance covered their new buffet world. How will they survive now? 'Black and Blue' is a sci-fi war story, told from both sides of an alien invasion. 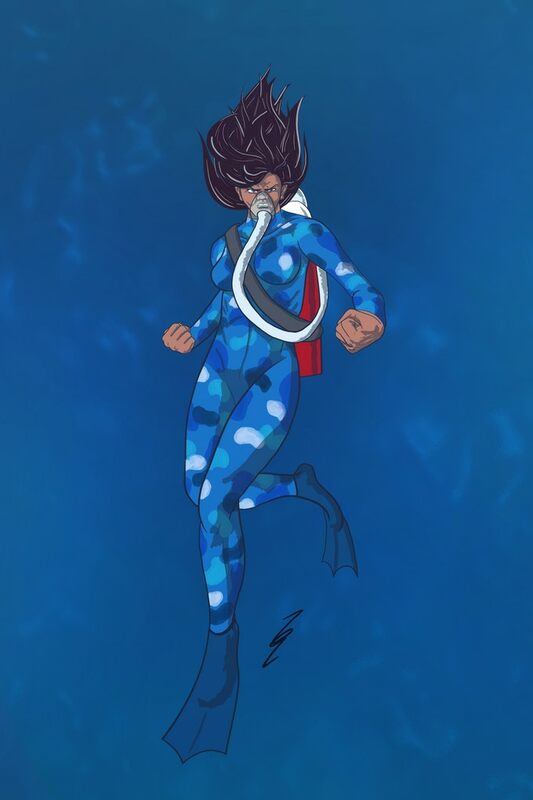 The human protagonist, Mattaya, a young Polynesian woman, is an unwilling conscript into the AquaMarines, Earth’s last defense against the attackers. 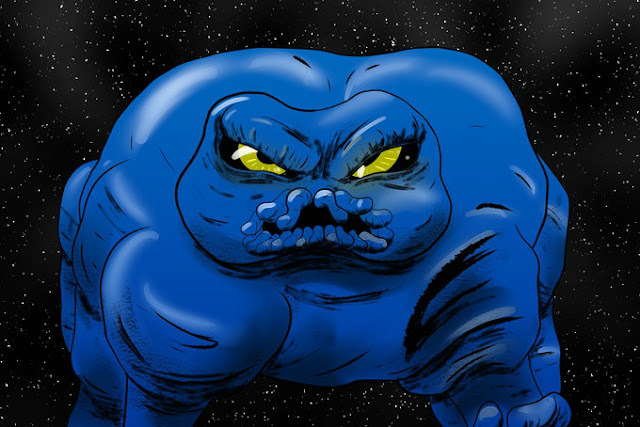 Lazuli, the alien protagonist, is a new inductee into the Farming Caste of the Cobalt, a balloon-like alien race on the brink of extinction, and discovers his people’s dark secret, that their only food source is actually a sentient race. In a tight, 80 page standalone graphic novel, Black and Blue will be a hit for fans of science fiction, in particular stories involving aliens, underwater societies, and war. The script has been written, and we have two fantastic artists on board (one for each side), as well as an incredible colorist to tie it all together. Nathan Seabolt (@n_seabolt), Bethany Varni (@bethvarni), Fahriza Kamaputra (@fahrizakp) and Ben Quinlan (@inkling_comics) have brought Black and Blue to Kickstarter. The graphic novel is completely scripted, and have a full creative team attached, who have penciled, inked, and colored the first five pages of each story. Check out Kickstarter to help fund the rest of the art, as well as an offset print run of the book.